The tomatoes in the Hugelkultur bed have been supplying us with yummy Roma tomatoes for some time now and we have added them to most lunches and dinners (and the occasional breakfast), we are all at the ‘I don’t like tomatoes any more’ stage, reached at some point in every harvest season when there is a glut. Therefore, I decided (this morning) to make some pasta sauce and bottle it using my trusty but under utilized Fowlers Vacola (FV) unit. 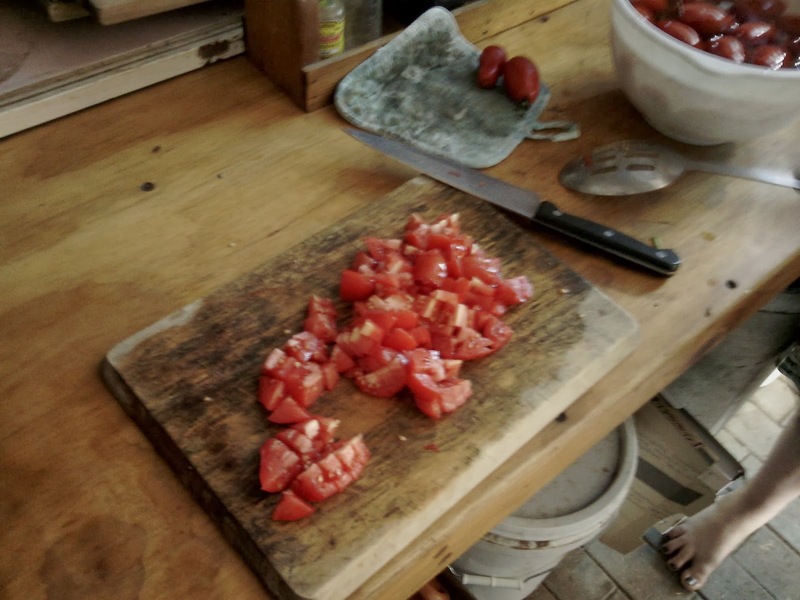 That way we can have our tomatoes to eat in the winter when we are all craving them. I decided to use glass jars with metal lids (the ones you buy pasta sauce in in the supermarket) instead of the traditional FV jars because the FV jars I own are all huge (1 litre is the smallest) and we use our pasta sauce in small lots so the smaller jars are more practical for us. 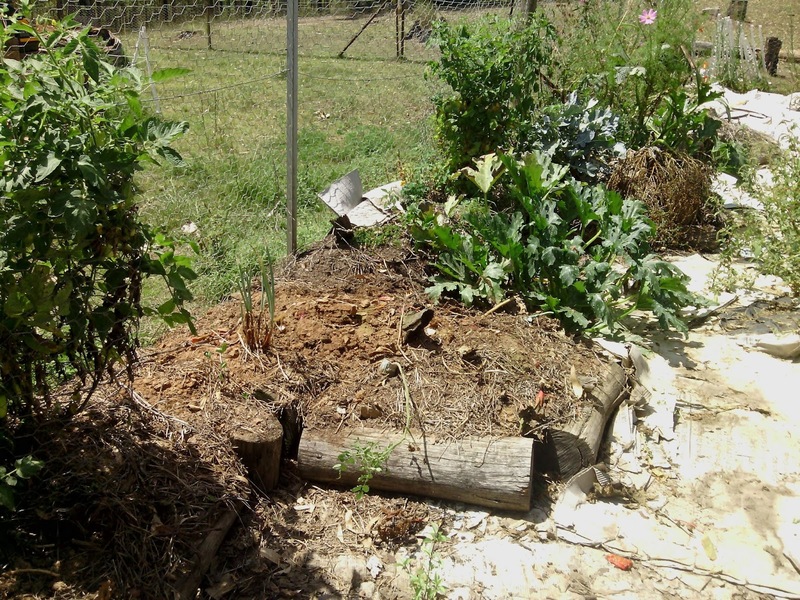 Stage one of the Hugelkultur beds cleared and waiting for a compost top up and mulch before replanting. 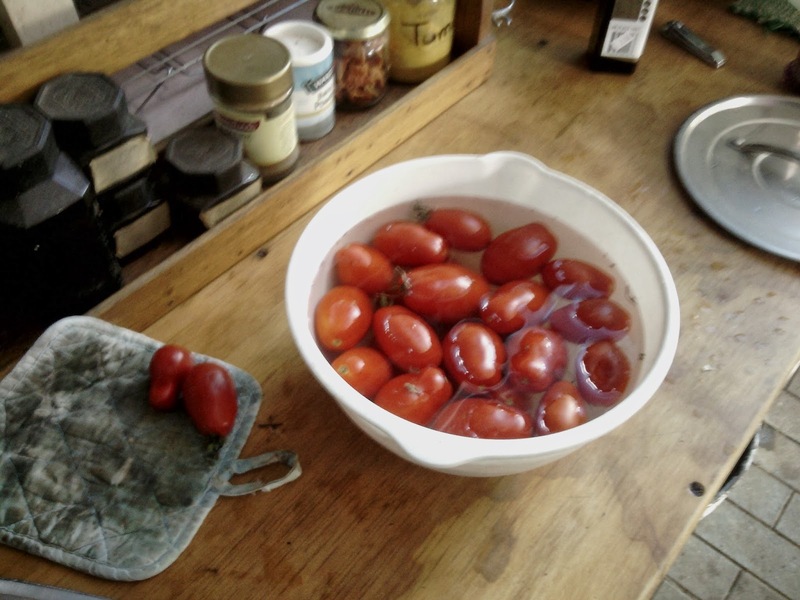 I found a fairly easy recipe for tomato pasta sauce that can be preserved using the water bath method. The recipe below has been copied from the Brisbane Local Food site and changed only slightly. The link in the title will take you to the original post. sea salt, ground black pepper. About 2/3 tsp of salt per 1 1/2 cups of sauce is recommended. Heat oil to medium heat, add onion and bay leaf, cover and cook for 5 minutes or until onion is softened but hardly coloured. Add tomatoes, garlic and herbs. Cover, cook on medium heat, stirring frequently until tomatoes have collapsed. Add seasonings and blend until the sauce is a pleasing consistency and you are ready to bottle. 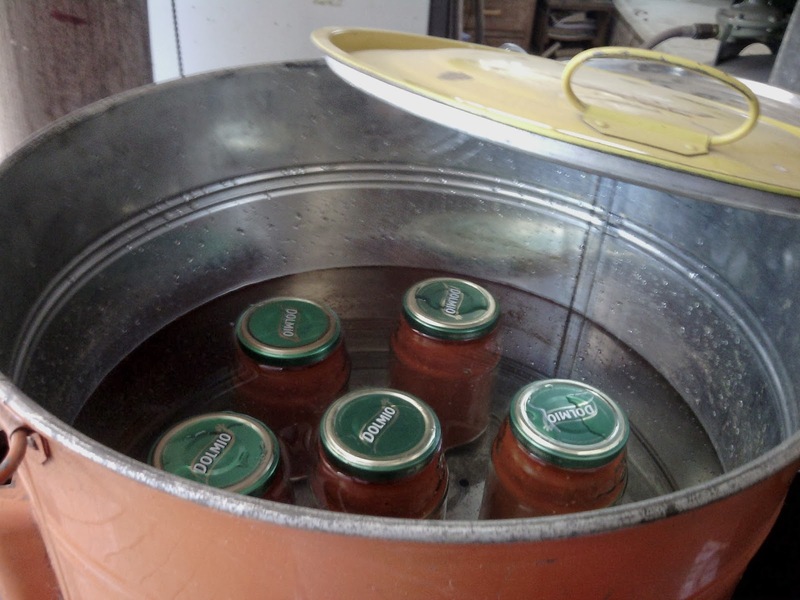 Put sauce into clean, sterilised jars with good lids that will vacuum seal. If the pulp is still really hot, put a sterilised spoon in the jar before filling to prevent cracking. 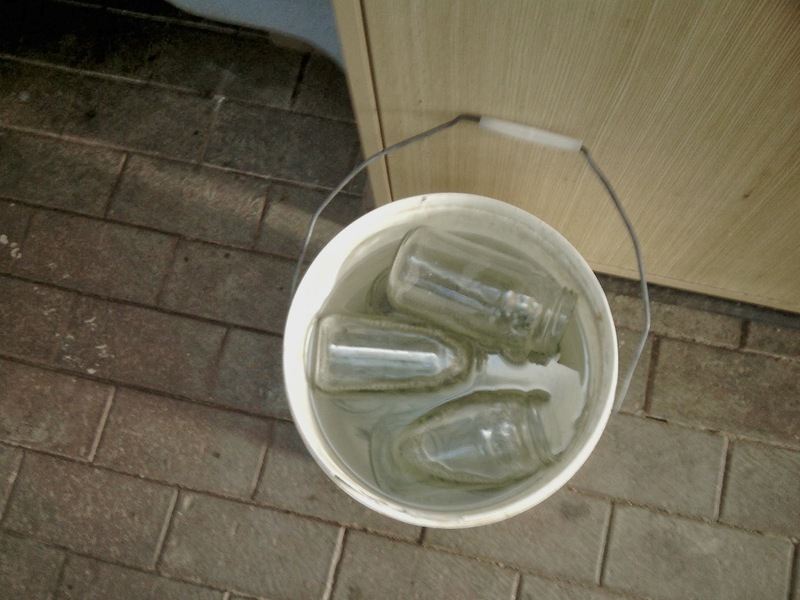 Place jars in a water bath up to their necks and bring the temperature up to 93.3 degrees Celsius (or 200 degrees Fahrenheit). Hold at this temperature for two hours. Remove from the preserving pan and press down the lids to encourage vacuum sealing. N.B. The Fowlers Vacola manual states that unless you use all their gear they won’t be held responsible for these instructions being no good. 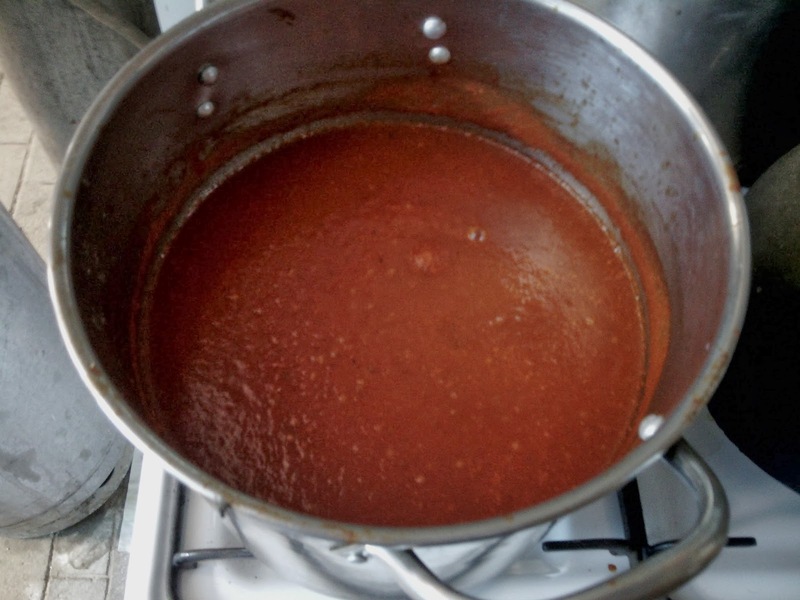 The sauce; boiled, seasoned and blended, ready to bottle. 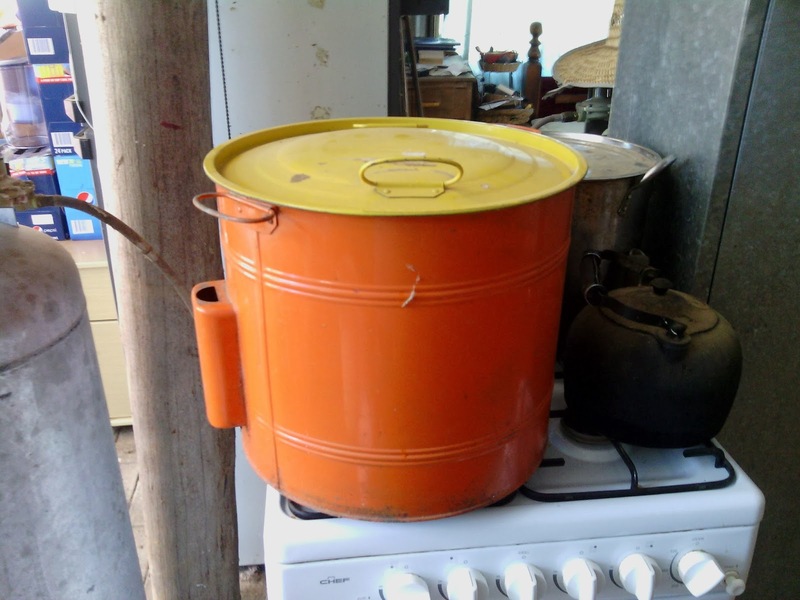 My good old FV stove top unit. Isn’t she a beauty? The bottles in their bath, all carefully positioned so they don’t touch each other or the sides. Fowlers Vacola frowns on touching in the bath. 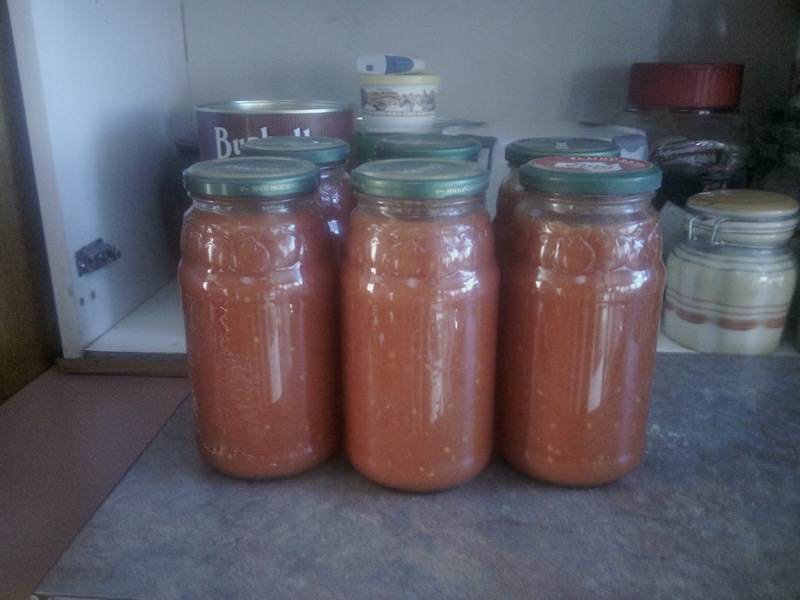 The final result; six yummy bottles of pasta sauce. I had better label them before I forget what they are though. I want to do more preserving, it’s so much fun. I would love to have a Fowlers kit. One day. That looks great, you'll love it in the winter. We have not got a single red tomato yet! I'm waiting and waiting, I refuse to buy them in the shops. Hi Jacquie, It's pointless isn't it; buying shop tomatoes, they may as well be red tennis balls for all the flavour they have. 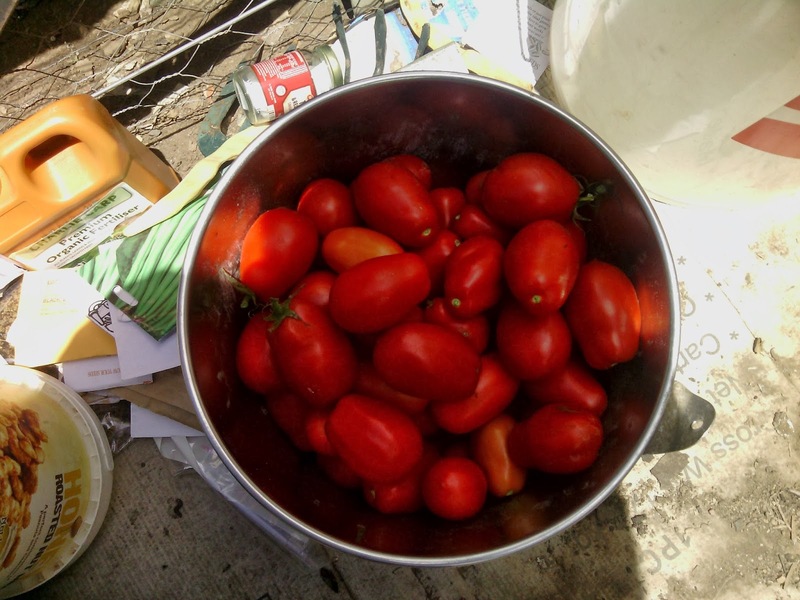 Are your tomatoes getting enough sun? They can be slow to ripen if they are shaded. I got my Fowlers kit from a second hand shop, the stove top unit, six jars and some lids. I ordered the rings and stuff direct from Fowlers.They are useful things to have, I used to do cakes in mine when the kids were little (from the Fowlers book) so I always had something homemade for lunch boxes.